A strong woman looks a challenge dead in the eye, and gives it a wink. Waiting for your newborn baby to arrive is a challenge! Every bone is your body is ready to hold that precious new life in your arms. You experience such excitement and anticipation waiting for baby. Of course don’t forget you also get that famous pregnancy glow. 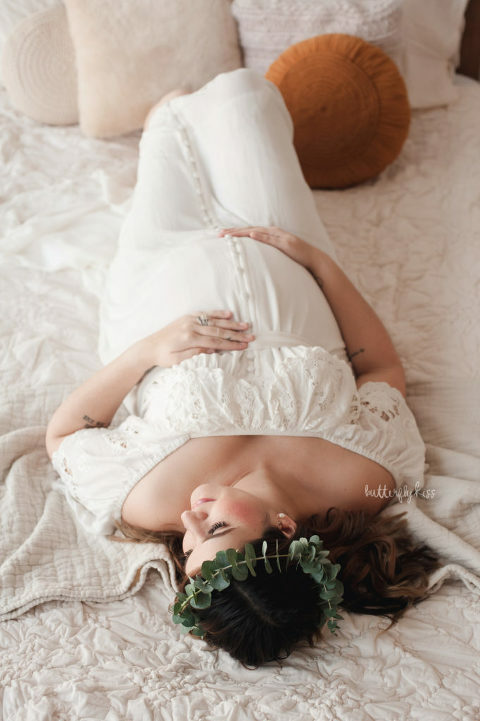 There is nothing more beautiful than a mom-to-be. 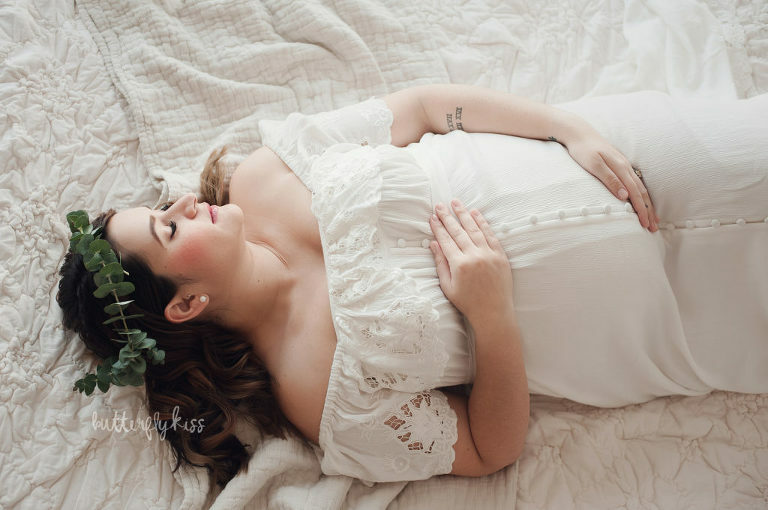 As a Puyallup maternity photographer I am so honored to celebrate this time with beautiful pregnancy photos. 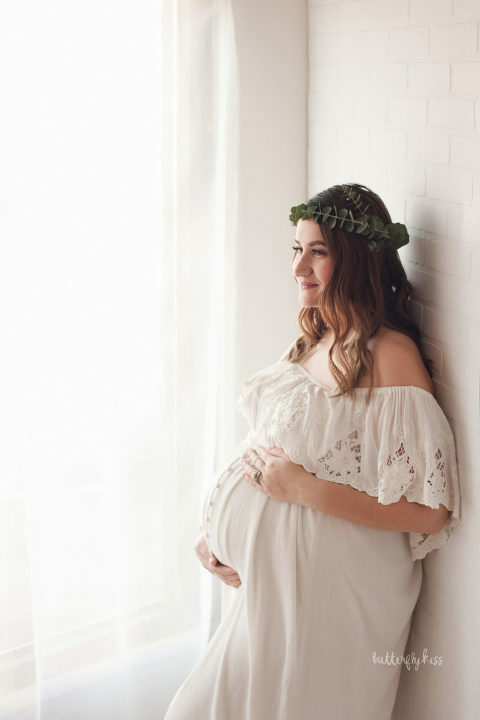 “I just had my maternity shoot with Tami!! She made me feel like a movie star, which can sometimes be hard when you’re carrying a ton of extra weight and your body feels like it could snap! She has this easyness about her where you feel comfortable right from the start. The studio has a homey boho vibe that is welcoming and her props and vision is beautiful. She has a great variety of dresses to take photos in, which is awesome so you don’t have to spend the extra money on finding the right dress to wear once. Tami also made a crown/headband made of fresh greenery, it was so thoughtful and just the right pop of color! 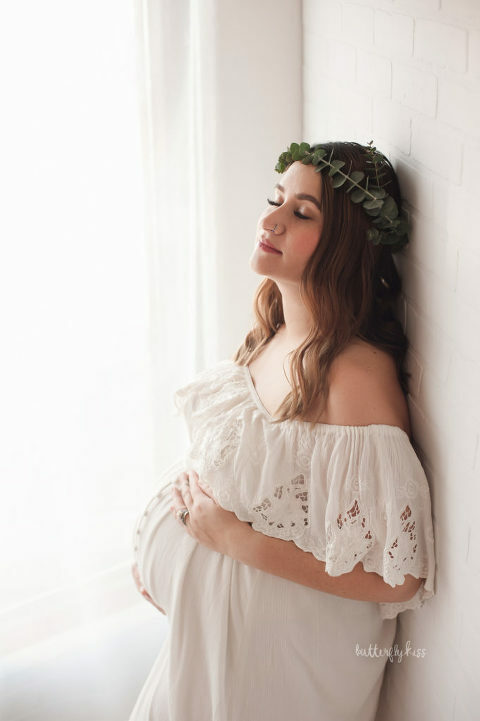 Maternity photo sessions are available to add on to any newborn photography booking. Please take a peek at the gallery and get in touch to schedule your session.